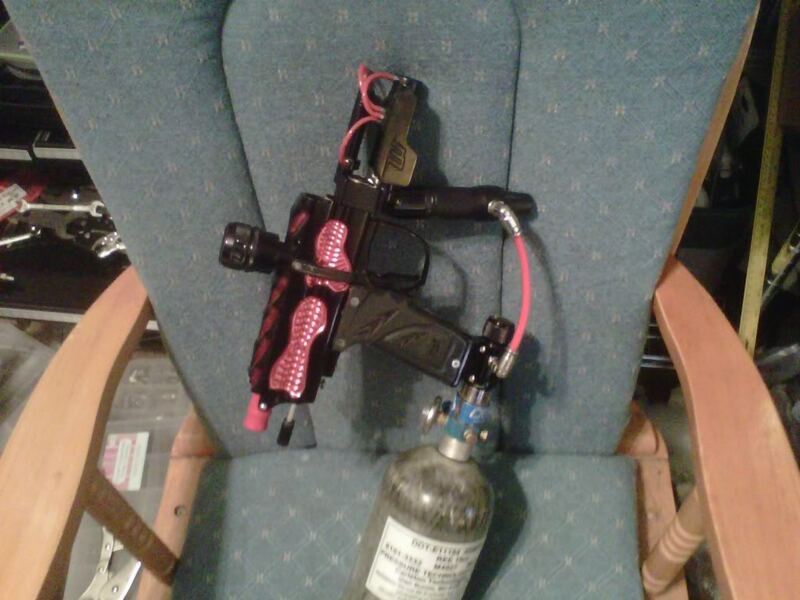 This one is also a previous seller pic. 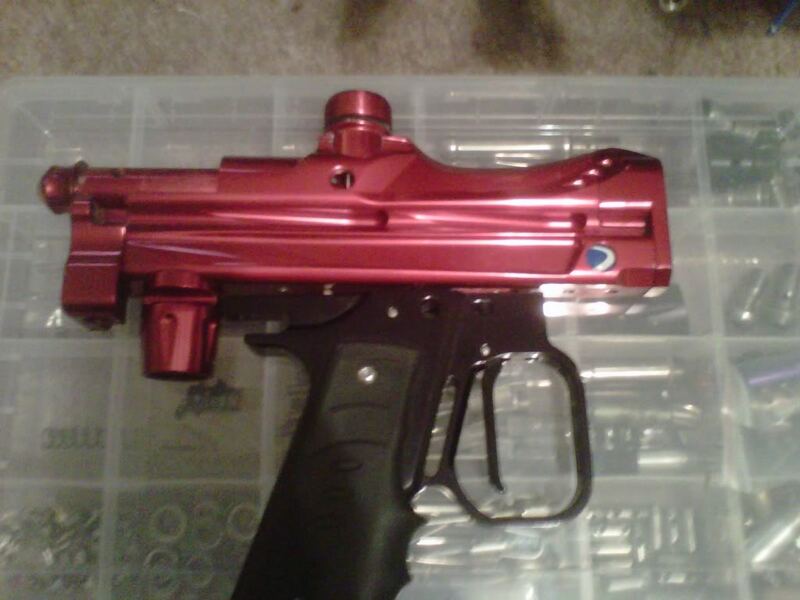 I bought a sleeper vike that had the parts I wanted and this one so I could mill it/ anno the way I want. 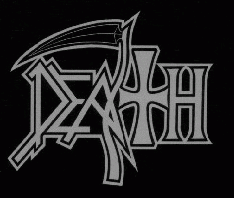 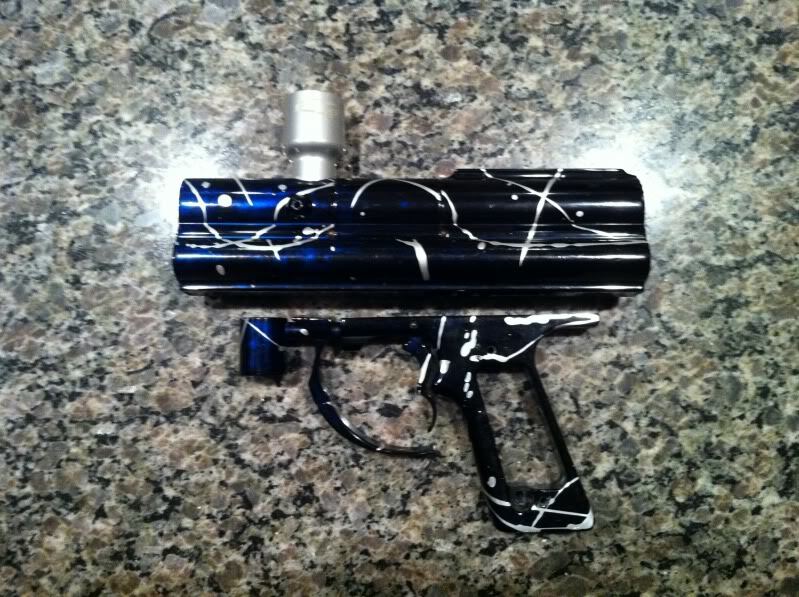 This one will get a green/ black reverse fade splash. 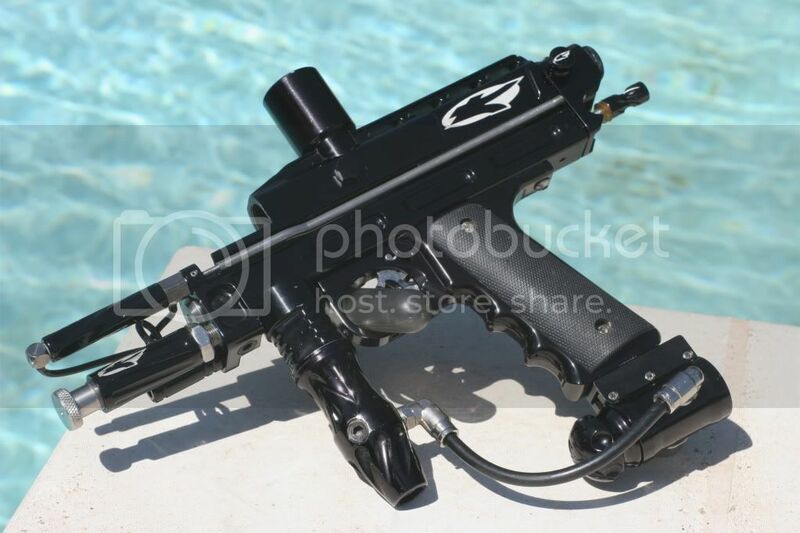 Jared owes me milling but I have not decided what I want yet so that is the hold up. 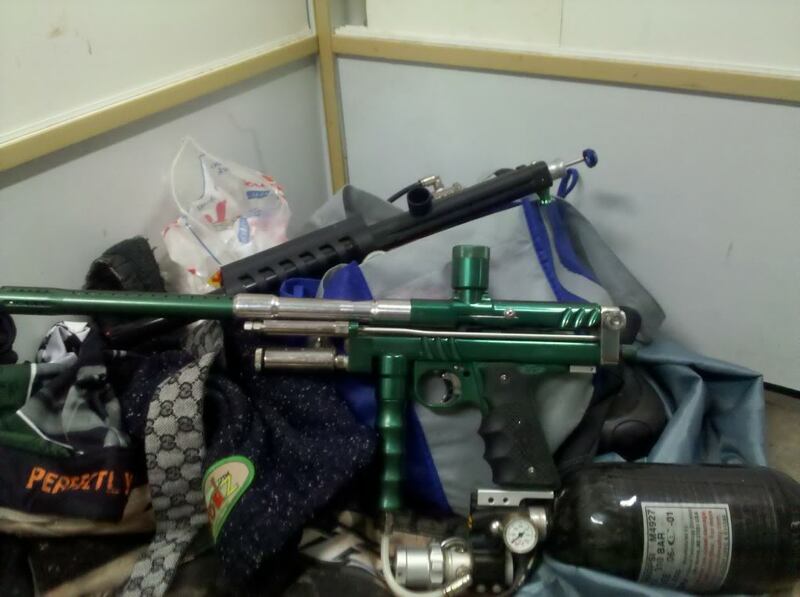 lol undrilled one of those is a hard find. 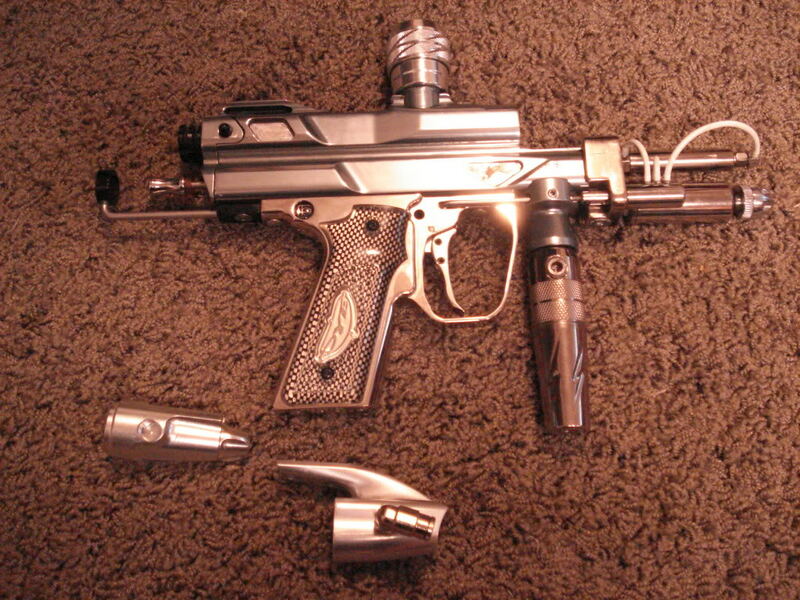 96 bob long vert feed. 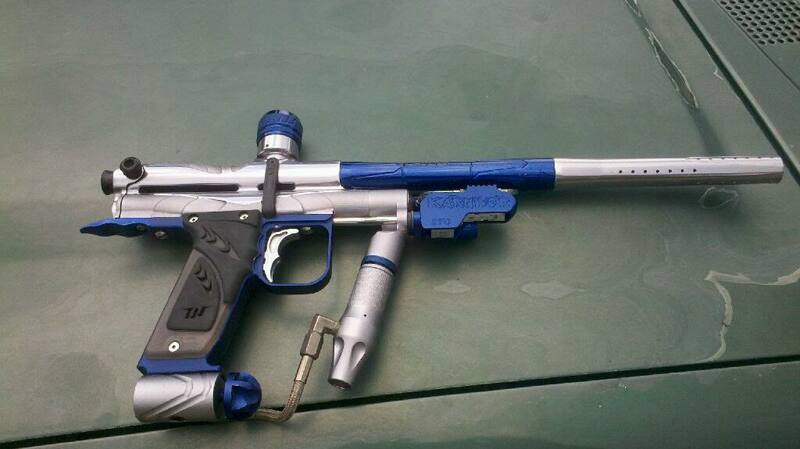 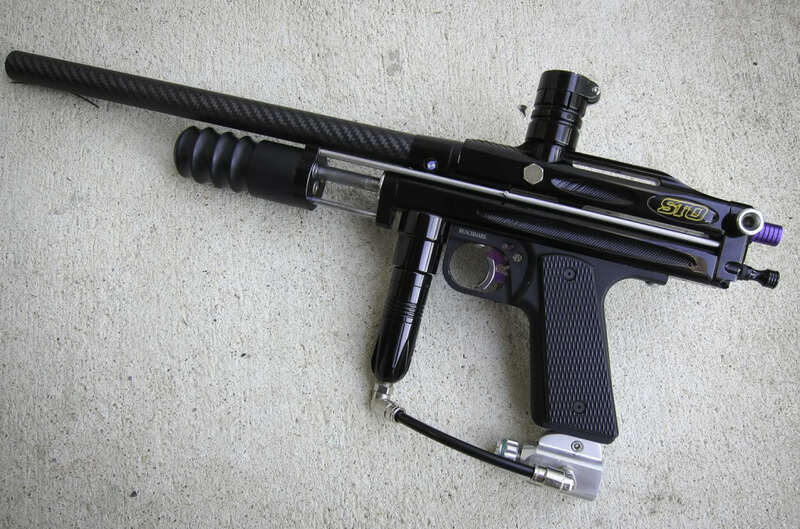 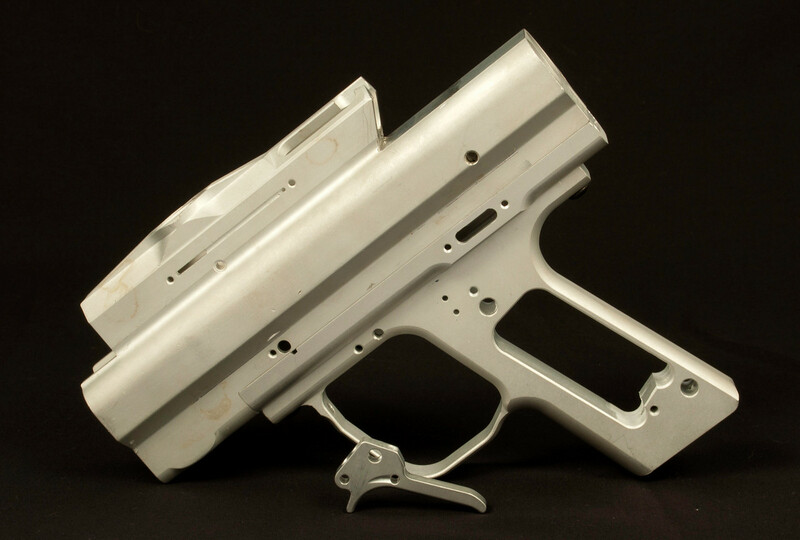 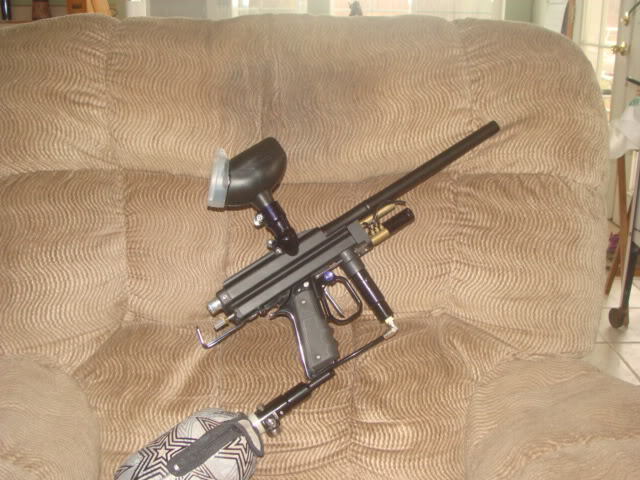 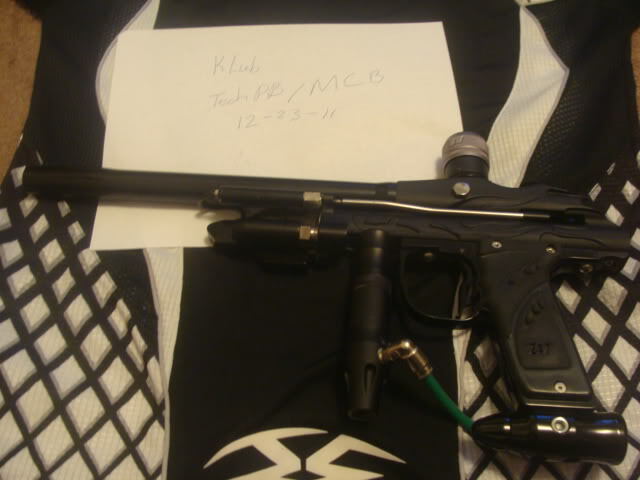 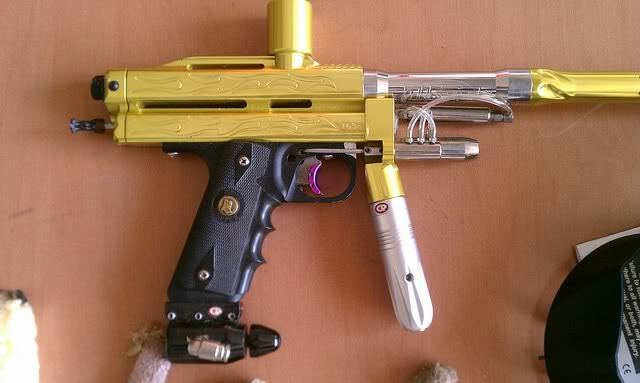 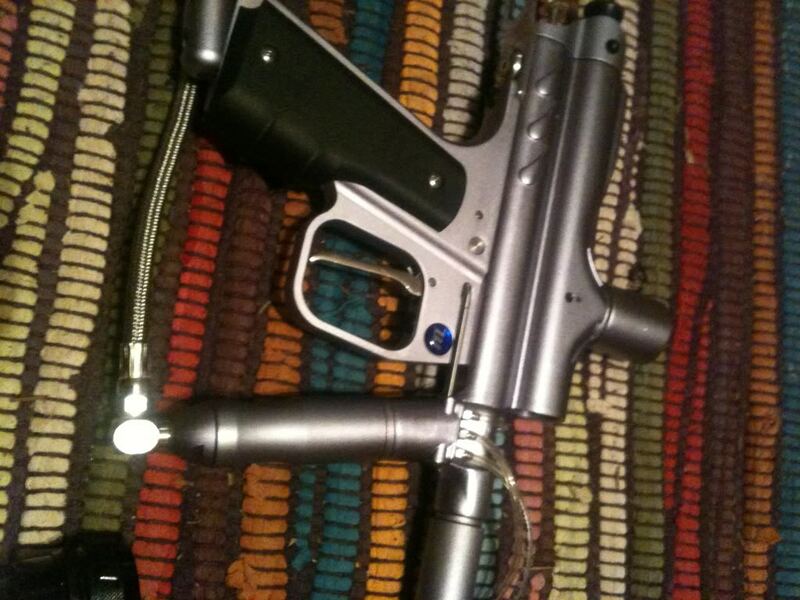 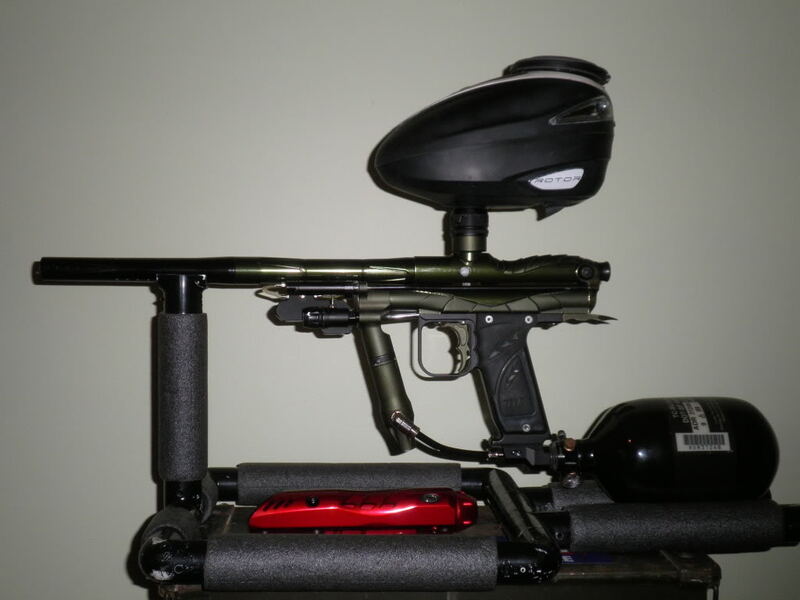 and my pride and joy, sto w/ ccm internals, pump, and a benchmark frame. 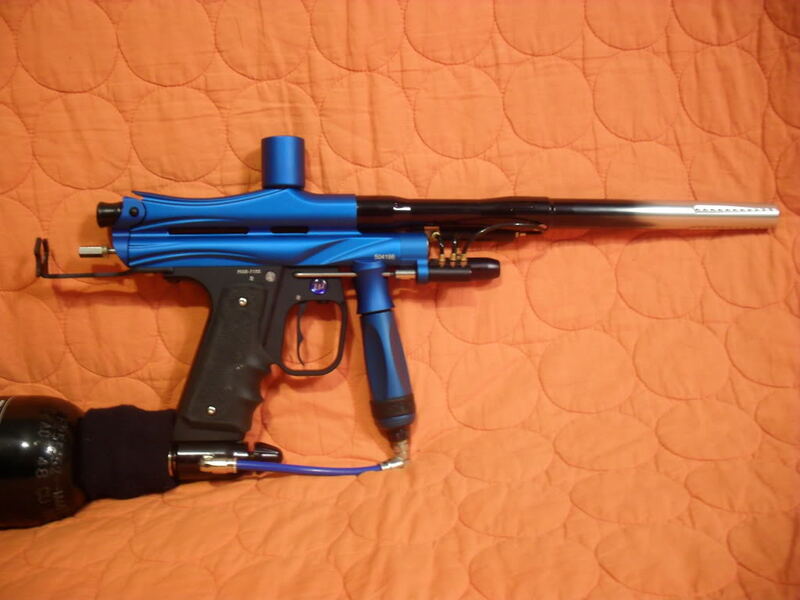 was my first autococker, surprised I haven't had another one. 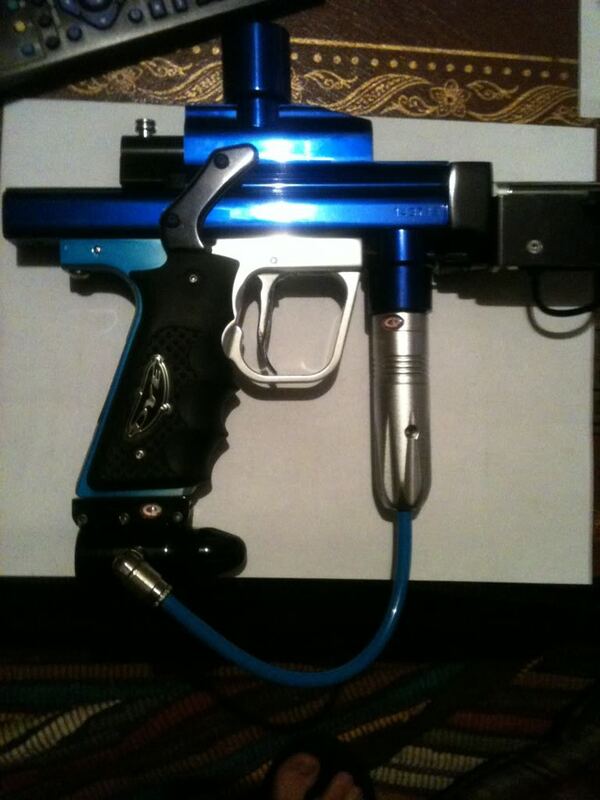 Was fun to shoot. 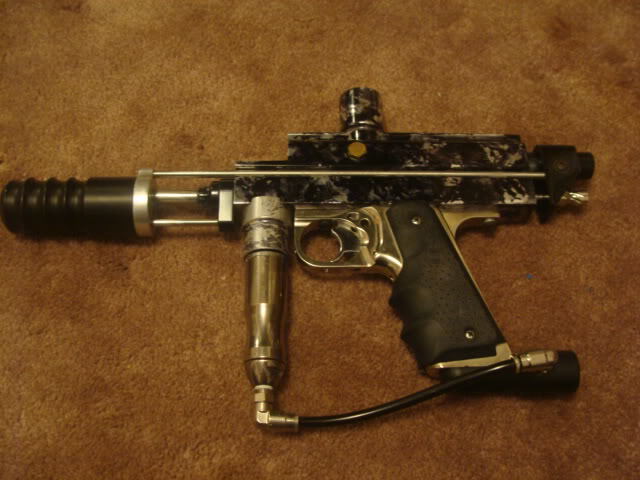 my e1 framed trilogy...has scenario dreams t-board (DO NOT RECOMMEND AT ALL) now have gun ripped down and swapping parts onto a physco ballistics super bolt. 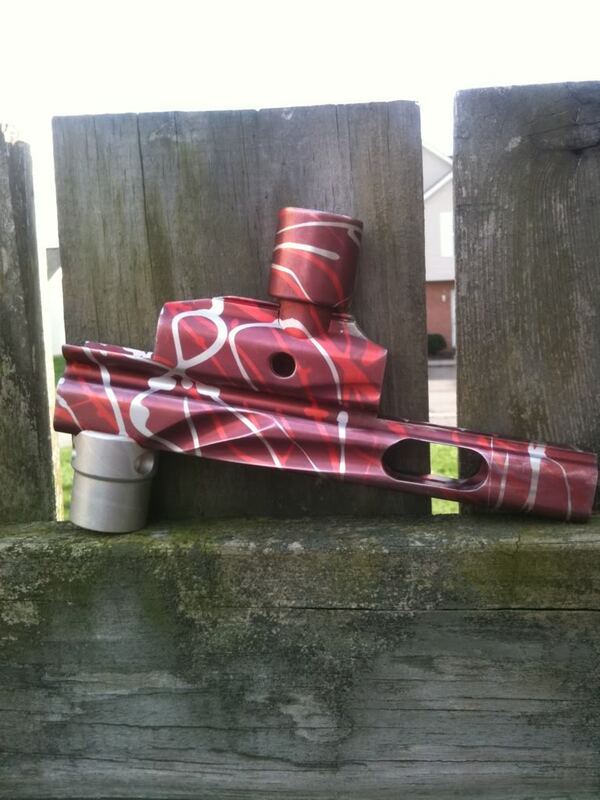 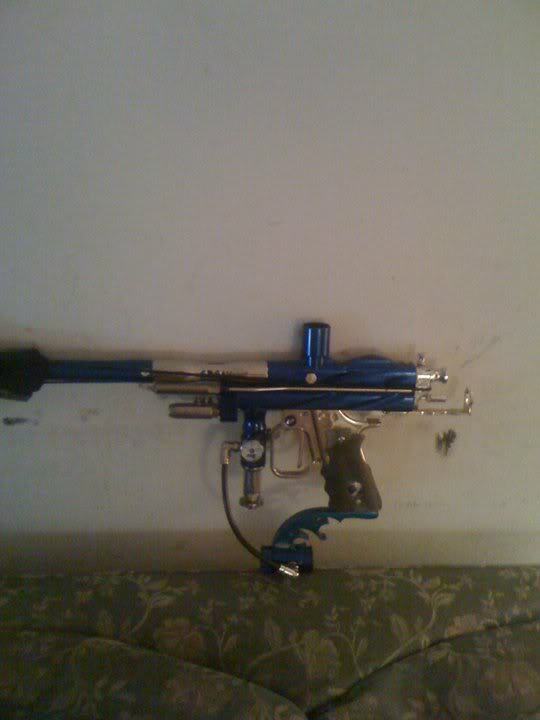 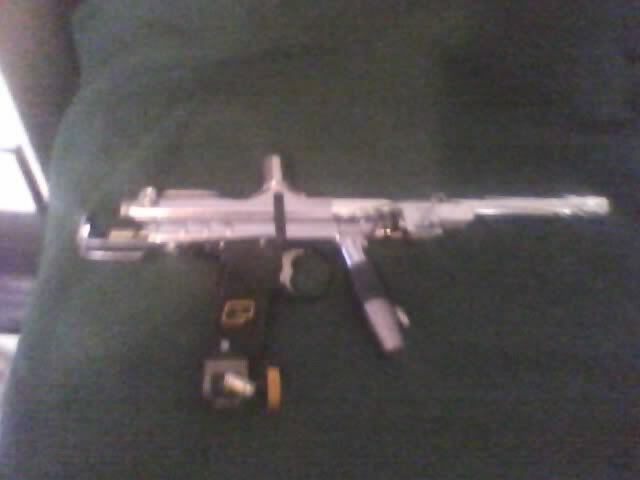 old 04 prostock,ans frame with matching drop and asa, wood grips,system X top cocking back block,ans bolt and reg,freak kit.one of the guns i wish i never sold. 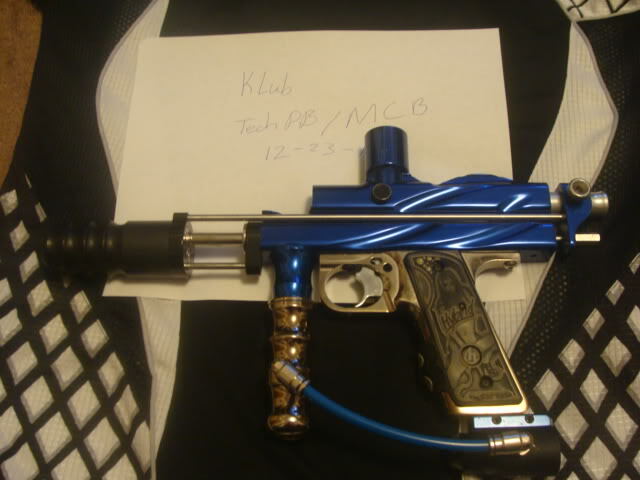 how the prostock looked when i got it. 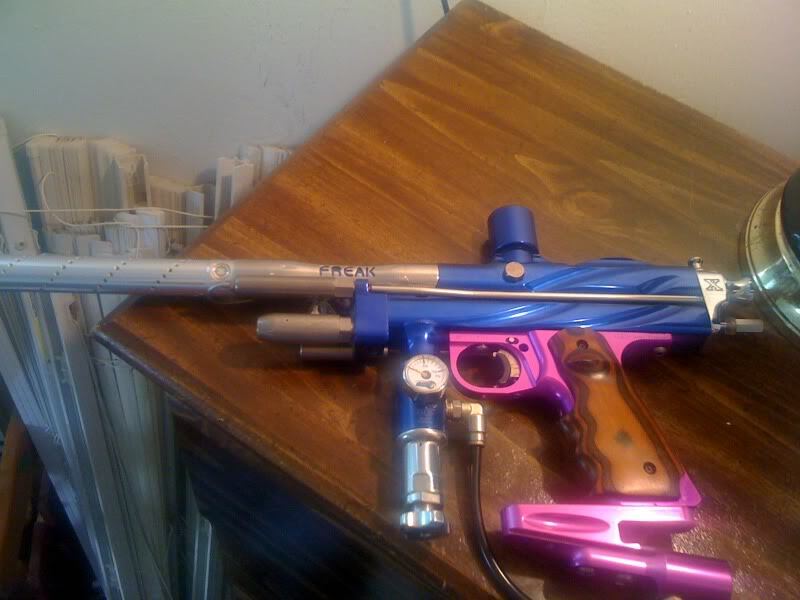 dig the purple on the pstock! 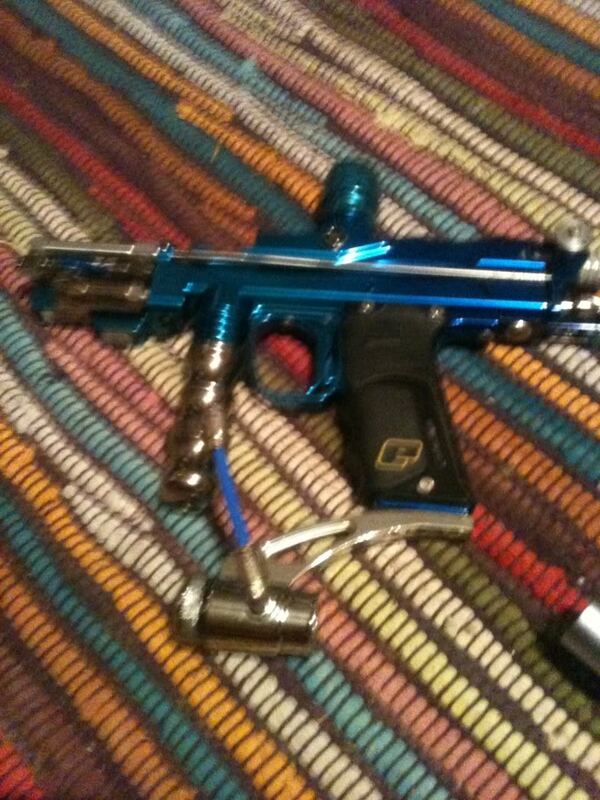 I bought the pneumatics off of it. 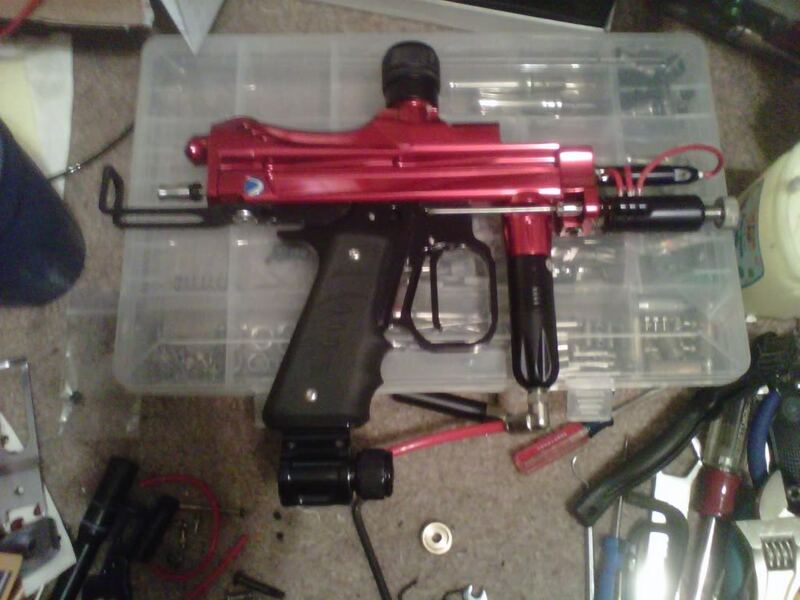 No scarring here, as I'm not the one who screwed up a 1300$, even after almost 7 years, gun.